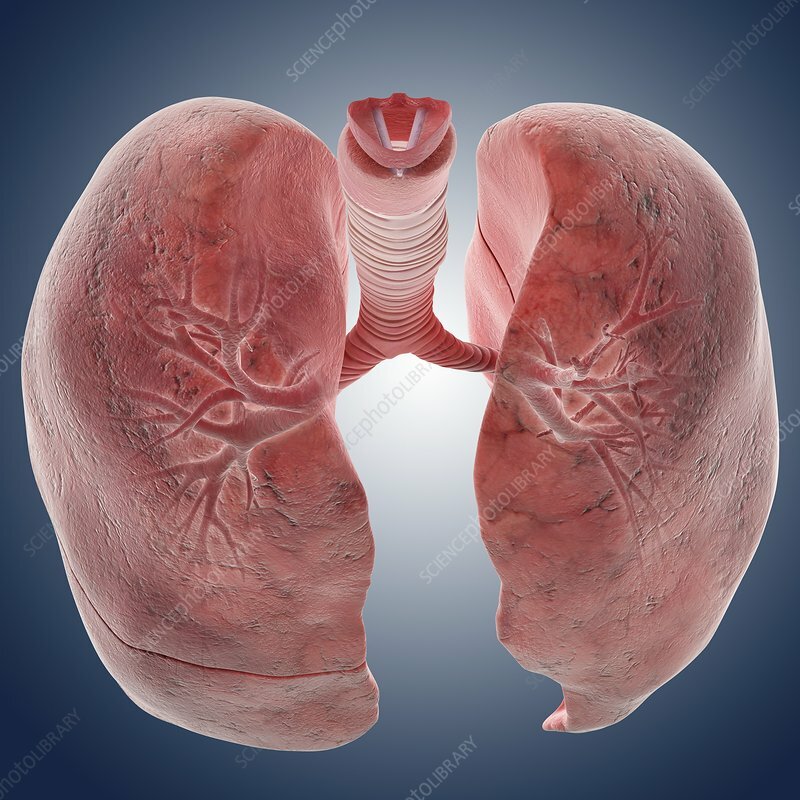 Lungs, computer artwork. At top is the trachea (windpipe), which splits into two bronchi, one for each lung. Inside the lungs the bronchi further divide into many bronchioles. Each bronchiole becomes smaller, finally ending in alveoli (tiny air sacs, not seen). The lungs are the site of gaseous exchange; oxygen enters the blood and carbon dioxide is removed.